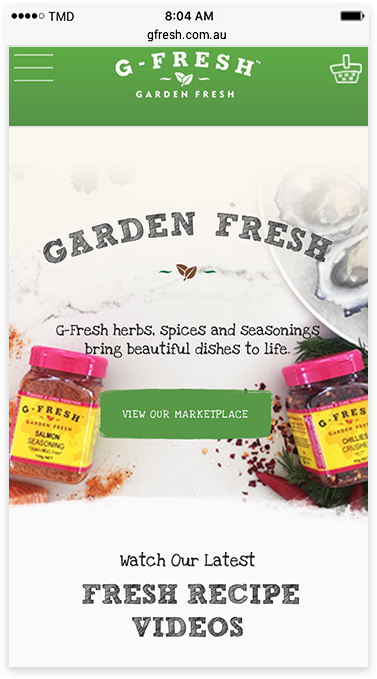 G-Fresh was established in 1996 and has over 300+ products in their range of herbs, spices and seasonings. They are also found in 1,000+ independent supermarkets around Australia. 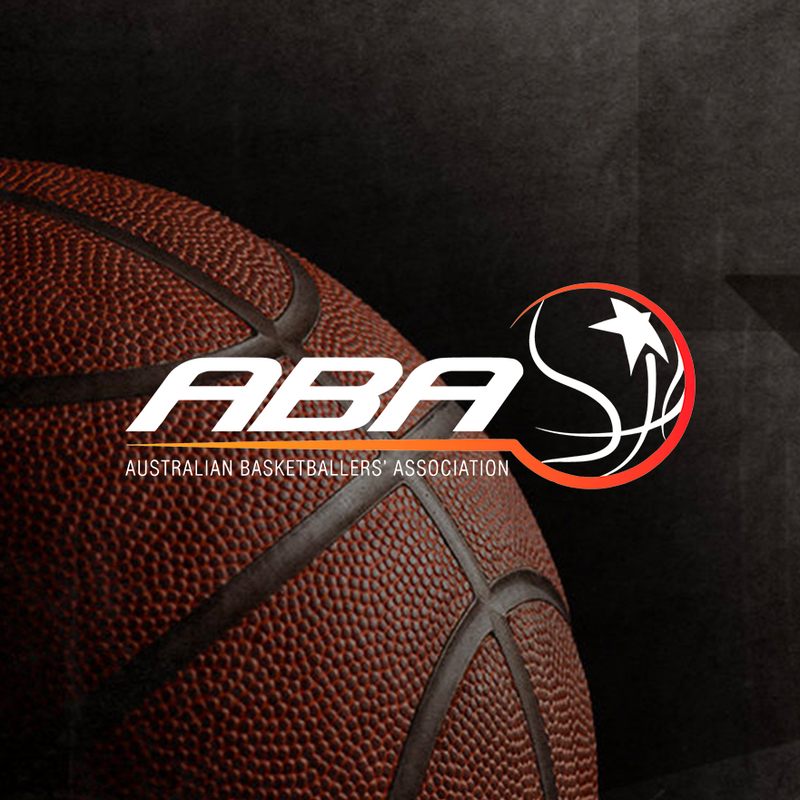 They needed an updated E-Commerce website that better reflected the quality of their amazing product range. 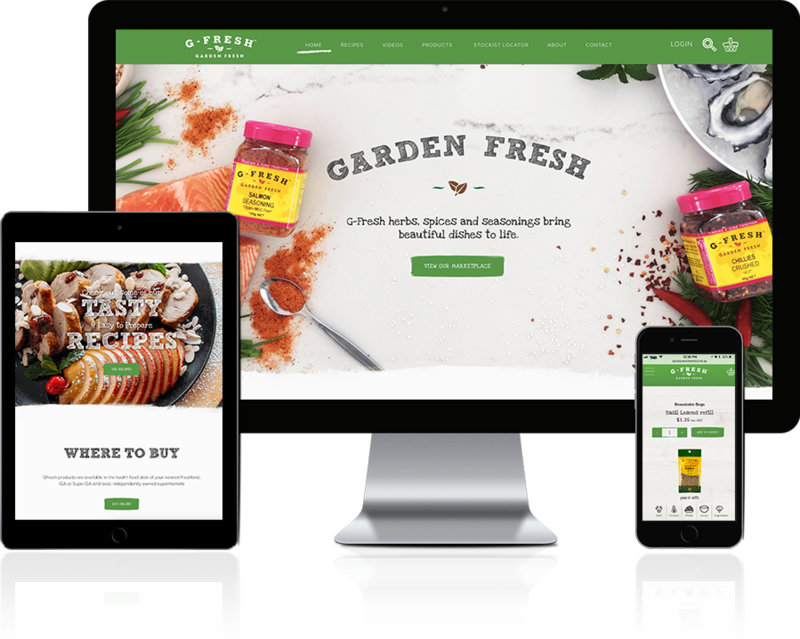 We worked closely with the team at G-Fresh to design a new and fully customised E-Commerce platform that allowed them to feature their entire range of products. 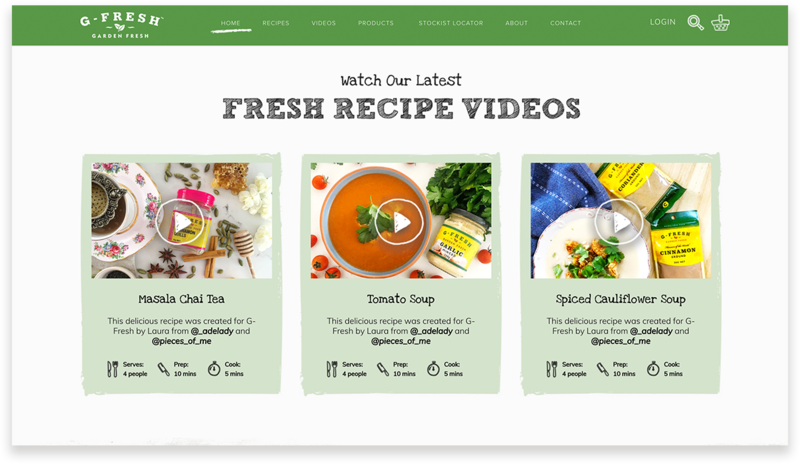 The new online store also features a custom recipes section where G-Fresh can now share cooking methods and recipes that contain the various G-Fresh products. 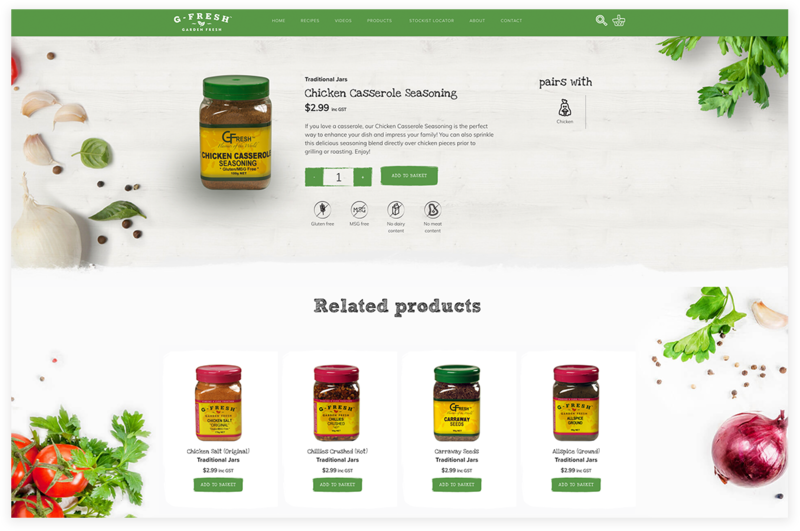 We also optimised the website at a product, category and recipe page level to allow G-Fresh to get more visibility in Google, and get more more people around Australia familiar with their products. The G-Fresh team wanted to be able to share with its customers which foods that their products could be used with, as well as some amazing step by step recipes for some of their favourite dishes. 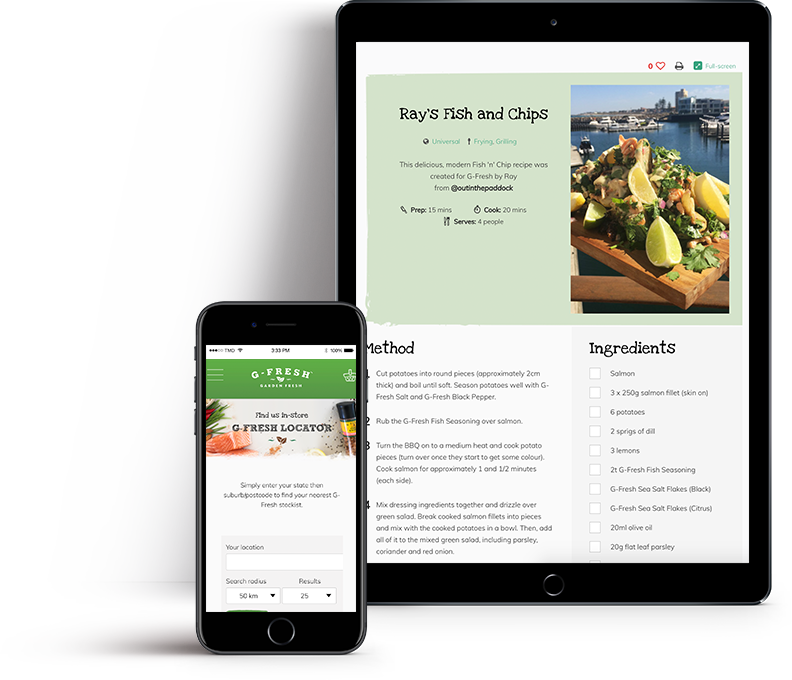 We built a fully customisable recipe module within the website that now allows G-Fresh to publish recipes and link to the various G-Fresh products that can be used to create them. 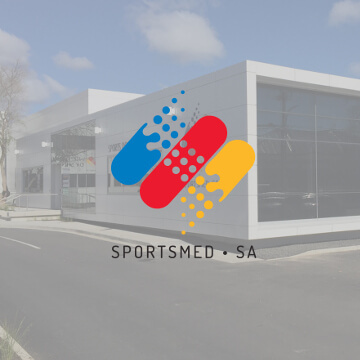 The 2nd module we constructed was as a result of G-Fresh products being stocked in over 200 locations Australia-wide. We needed to make it easy for purchasers to enter their location and be directed to the nearest supermarket who stocked G-Fresh products. G-Fresh is passionate about helping its customers know which foods that of its products can be used to cook with. 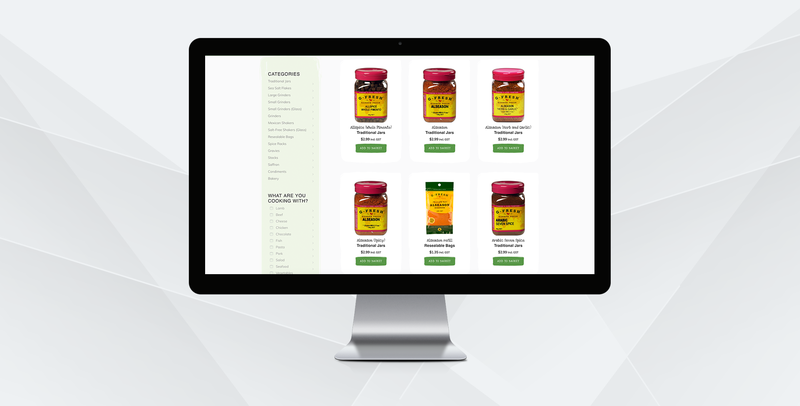 We created an advanced categorisation feature that allows the customer to easily see every single food that all G-Fresh products can be paired with. 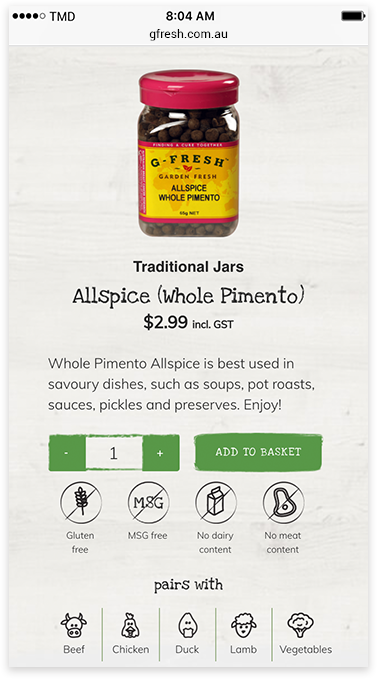 Once the customer answers the question on the product page of “what are you cooking with?” – a list of every single G-Fresh product that can be used to prepare that food is displayed. Our website design and E-Commerce development team has been building websites that rank well in search engines, and generate tonnes of traffic from Google for nearly a decade. If you’d like to get the same results as G-Fresh, then give us a call!